Everything Just So: Are You Old Enough to Wear Diamonds? Are You Old Enough to Wear Diamonds? Carey Mulligan as Daisy Buchanan in The Great Gatsby. Definitely too young for this Tiffany headband! I am in the middle of the book Ava Gardner: The Secret Conversations by Peter Evans and Ava Gardner and really loving it. 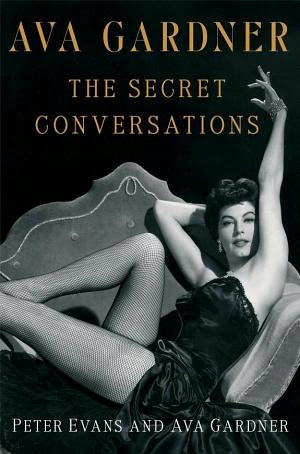 It’s a window into old Hollywood by somebody who was there and married a few of the most famous men of the day as well! A full review of the book will come in January. Last night I read a great passage where Ava describes being married to Mickey Rooney, who was a huge star in the late 1930s and early 40s because of his popular “Andy Hardy” movies. Mickey liked to bet, big time, on horses, and Ava describes what it was like being a 19-year-old bride who would be given a gorgeous piece of jewelry by her husband one week, only to have to give it back the next. “Mick also bought me the most beautiful diamond ring, a real iceberg—and asked for it back the following week to pay off his bookies. Talk about feast and famine, honey…although not many people knew about the famine side of that marriage. In true Hollywood style, they only saw the feast. Interesting, I wonder if this was the idea of the day among younger ladies. 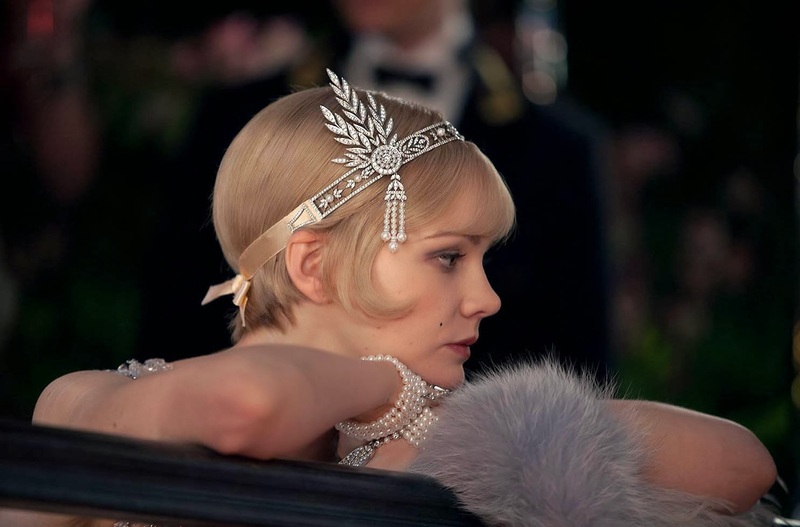 Of course, this means that Daisy Buchanan (as played by Carey Mulligan in The Great Gatsby, above) was way too young for that amazing Tiffany diamond headband. Carey is only twenty-eight and I am sure Daisy was under thirty in the novel. How fun to think that, according to Ava Gardner and Holly Golightly, I am just beginning my prime diamond-wearing years! I can’t picture myself in a diamond tiara or gigantic diamond necklace ever, but here are two diamond pieces I would not kick out of my jewelry box. 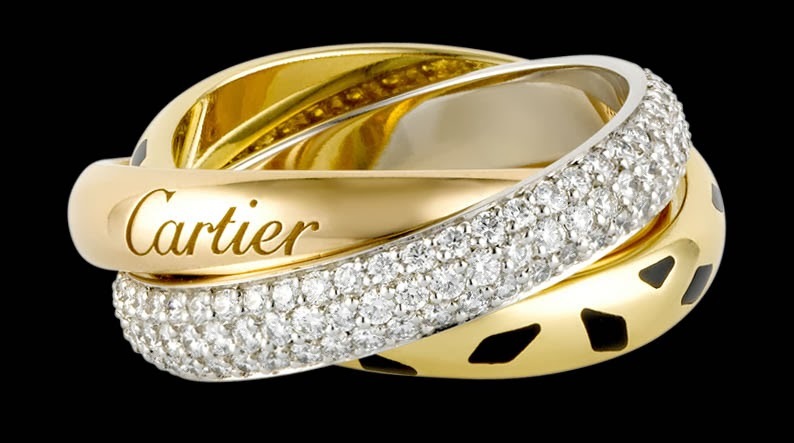 I would not say no to this Cartier Trinity Sauvage ring with three types of gold, diamonds, and black lacquer! 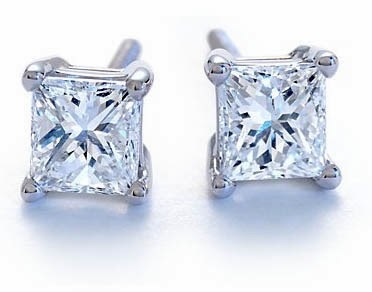 Princess-Cut diamond earrings from Blue Nile. Make mine a half-carat each, at least! Are you a fan of diamonds? And what do you make of Ava and Holly’s sentiments regarding the proper age to wear them? I think that is funny about needing to be over 40 to wear diamonds, but honestly not anything I've ever really thought about to any extent. I don't own any and I don't plan on acquiring any. I've never been attracted to them. maybe there's something to it, but I also think young beautiful women look beautiful in their engagement rings too. maybe 30s is more accurate. How interesting, I never heard diamonds described as tacky before! I wasn't into diamonds before they came out with lab created ones. I'm not a fan of the monopoly by DeBeers. Now, lab created stones that can be worn for the fun of it for a fraction of the price is appealing. Especially all of the colors they can make! The only diamonds I have are on my engagement ring (a solitaire princess cut) and my diamond earring studs (also princess cut). I prefer my diamonds a bit subtle and tasteful…and now that I'm over 40 I can wear them with confidence! Otherwise, I prefer gold jewelry: small and tasteful! I think very expensive jewelry is a bit tacky, myself. That includes (maybe especially) mammoth engagement rings. The ostentatious display of great wealth is not for me. Just my opinion. I never thought about a certain age to wear diamonds tho! Personally, I prefer jewelry that is more art than money. Large artistic sterling silver pieces, and exquisitely designed costume jewelry (like the show you wrote about at MAD). I've picked up a bunch of those manmade stones on ebay, they are fabulous! Problem is finding settings for them. Still working on that. Diamonds instinct ly are attractive to people. Gems are a great source of translatable wealth and have helped many in moments of strife. I think we can forget that now but I know plenty of stories where they helped people to safety. I like diamonds but I like them simple. i.e. diamond stud earrings. Always classic. Engagement rings seem to be much larger than when I got married. One carat was considered pretty impressive- but now it seems like the engagement rings are getting humungous. I was told by jewelers that tennis bracelets which were so very popular now look a little passé, and diamond bangle bracelets are more in. Maybe, haven't decided if I agree. Anyway, love Ave Gardner, read a bio on her by Lee Server, a few years ago and look forward to reading this one, also, after the new year.Am deep into reading Steel-True a bio of Barbara Stanwyck. Not a glamour queen like Ava, but what an actress. The Cartier ring is absolutely beautiful. Hi Denton, I have never liked crazy big fine jewelry either. I have seen a few engagement sets during my time in NYC that have made my eyes water they are so big. Not for me. I don't have a diamond ring at all. But I certainly would love to add a pave diamond ring to my very small fine jewelry collection. Other than that, I'm with you, costume jewelry all the way! Hi Rosie, yes, I agree, engagement sets seem so big anymore. I can never get over the fact when I see a giant ring that the couple could possibly be in debt when they start their married life together because of the cost of the engagement ring and the wedding combined! I am thinking of going to Cartier to try this ring on for the fun of it. Jill, a good Ava movie to start with is The Killers. Her co-star was Burt Lancaster. They are both young and gorgeous in this. Movie based on a good story by Ernest Hemingway. Hemingway considered this Movie one of the best adaptations of his writings. I agree with you about big engagements sets but maybe that's because mine says, "he paid cash!" Husband of 30 years recently offered the thought that maybe I'd like a bigger ring. My feeling is that after 30 years why bother? Now a bracelet or earrings -- that has appeal. I agree with Ava. A young woman has plenty of beauty, why weigh it down with rocks? I'm a little ways from 30, so I just wanted to chime in. I agree with Ava! I love jewelry, but a lot of statement pieces aren't a good fit for me. I think it takes a mature woman, that has that great mix of beauty and maturity, to wear sparkly pieces without it looking like the pieces are wearing her! There are some younger women that can wear statement jewelry without looking like they're trying too hard, but those ladies are few and far between. I also agree with RoseAG. The younger the girl/woman, the more "weighed down" she appears when wearing jewelry that competes with her natural sparkle. 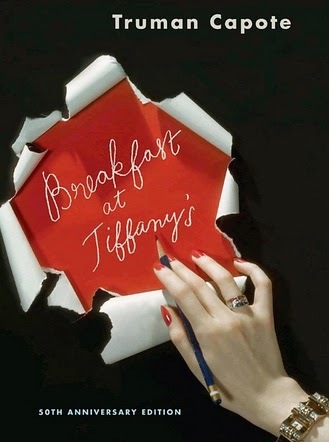 Truman Capote's white hair and diamonds reference is PRICELESS! It makes me think of Ari (of the Advanced Style blog) and how the women he photographs can wear ANYTHING and look amazing. Awwww. I fall for diamonds and I see myself growing into the woman who definitely rocks a tennis bracelet. But it has to be a "safe" one that would not harm my cashmere sweaters nor the silk skirts. And there is still a spare place on my ring finger on both hands. hehe. Those Blue Nile studs also caught my ear, ah, eye a few years ago. I went to a local (not cheap!) jeweller and he recommended another setting where the diamonds are set into a proper "closing" setting. I do have some diamonds, my two favorite are my diamond rings, all of them are in vintage/heirloom settings. I do not care for gaudy diamonds but rather a more classy, feminine look. Interesting post! Hi Joe, thank you for stopping by and it's nice to hear what a man thinks about this topic! If you are giving your wife an antique-cut diamond anniversary ring she is one lucky lady. I need to give you my husband's email address so you can give him a pep talk about jewelry gifting, ha! I have always liked diamonds (long before I turned 40) - but I really like vintage diamonds, the old cut style, art deco rings and earrings. Those can be worn every day and I don't think they're look tacky. They're classic. I'm currently 28, but ever since I turned 21, I've worn a 1 karat diamond cross pendant around my neck, a pair of pave diamond earrings, and a pave diamond ring on my right hand. I wear these three pieces every singe day...I only take the earrings off to sleep and shower. I've never thought it was "tacky" as a young woman to wear "real" jewelry. I've never been into costume jewelry...it looks cheap to me. I don't think there is anything wrong with a woman in her 20's wearing diamond...it shows a sense of class, style and maturity. I think as long as the diamonds are kept tasteful in size and how they are worn, then diamonds can be a girl's best friend throughout all stages of life...not just once she enters her 40's. This is so interesting. At 25 I personally feel that I am not quite ready for diamonds, but I've always loved them. In fact, I've been saving a little money every year to buy myself a "coming of age" present of fine jewellery for my 30th birthday (okay, it's not quite 40, but if I don't feel old enough by then I'll just keep saving! ).